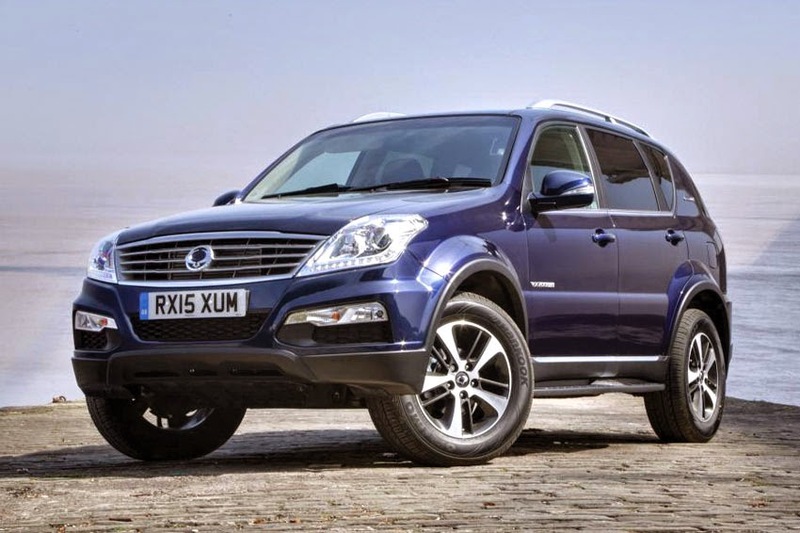 SsangYong has announced a new range-topping model to its Rexton W line-up - the ELX. carpets, a new multi-function leather covered steering wheel and updated instrumentation. There are also distinctive 18-inch diamond-cut alloy wheels, LED daytime running lights within the headlamp units, front parking sensors, auto-dipping rear-view mirror, heated rear seats and Sat Nav to set the car apart, which is also now available in a smart new Dandy blue metallic finish. "We are continually looking for ways to reinforce the SsangYong value proposition and this new Rexton W ELX adds a number of significant enhancements at very little extra money. This highly competent 4x4 just got even better!," said Paul Williams, CEO, SsangYong Motor UK. Built on a steel ladder chassis and with a 3-tonne towing capacity, the SsangYong Rexton W is a serious off-roader and tow-car. Powered by SsangYong's own 2.0-litre turbo charged e-XDi200 diesel engine, it delivers maximum power of 155 ps/4,000 rpm and maximum torque of 360 Nm/1,500-3,000 rpm, and is designed to provide low end torque whatever the conditions. There is a choice of 6-speed manual transmission or 5-speed Mercedes-Benz T-Tronic automatic. Noted for being an extremely competent off-roader, Rexton W uses a body on frame construction for maximum strength, and the car also features a sophisticated multi-link rear suspension system to ensure a comfortable ride both on and off-road. The new Rexton W has an almost unrivalled position in the 4x4 sector. Prices start from only £21,995, with the new the ELX at just £27,995.